The Studio is located at 3319 Newton Street, Denver, Colorado 80211. If you have questions please email me. Drop in workshop meets every Tuesday from 10:30 am-12:30 pm or 6:30-8:30pm. $25 per two hour session or 10 two-hour sessions for $200. The first session you attend, please Let me know you are coming . You can email me to do so. All skill levels welcome! In this ongoing workshop format you attend when it's convenient for you and work on the project(s) of your choice with guidance and help from Cheryl. In each session we will have with a tutorial on a technique (particular topics will vary weekly, teacher's choice, with student input very welcome! ), exploring the ever expanding world of traditional and contemporary knitting, then the main focus will be on advancing each of your own projects. Get the guidance, tools and techniques that you need to make your knitting an exciting and successful experience. 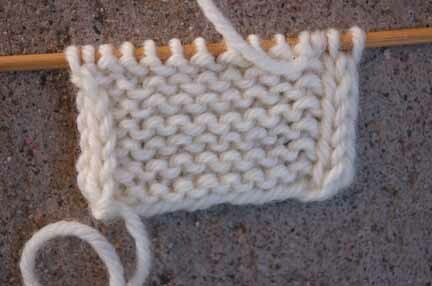 Build your knitting skills while you complete some wonderful new projects..or works in progress! A) The 10 session Studio Card which holds 10 two-hour sessions for $200.00 (a 20% discount from "Give It a Try" option rates). Also with a Studio Card you receive a 10% discount on Cheryl Oberle Designs yarn or books from the Studio. So you can come when it suits you, and enjoy a discount as you go. B) The "Give It a Try" option at $25.00 per session. If you decide to purchase a Studio Card after your first session, one $25 dollar "Give It a Try" tuition will apply toward the purchase of your Punch Card. To attend a session or purchase a Studio Card you may pay by check or credit card at your first session. Studio Cards are kept on file here at the Studio so no need to worry that you’ve forgotten yours when you come. In case cancellation of a weekly session is necessary due to unforseen events, an email will be sent out to all punchcard holders. Have a class you like to take at the Studio? Email me your suggestion!